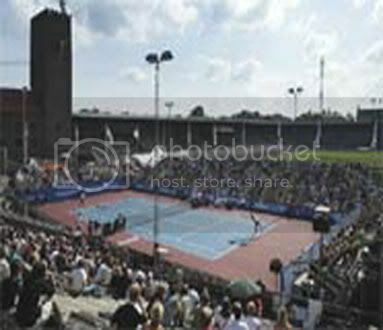 This is a pretty surprising final because the favourites didn't do well here in this tier IV event, like Wimbledon champion Angela Haynes, two-time titlist Kim Clijsters, Palermo champion Betina Jozami, and Budapest champion Serena Williams, all of them are in great form, but these two players win all odds and reach this tier IV final!! 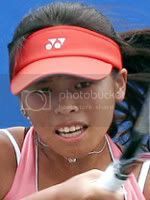 Su-Wei Hsieh, Wimbledon quarterfinalist and mixed doubles champion, lost in first round last week in Budapest, proved to be too good in this tournament. She qualified as the number two seed iun qualifying and she defeated Kium Clijsters, Virginie Razzano and Angela Haynes en route to the final, all in three tough sets, so her fighting spirit must not be bad!! So is she too tired for the final coz she had played four matches in a row?? And this is her maiden single final in the EWTA tour, will she be unexperienced?? Can she still bring us surprises?? She need to ask Estoril champion, Elena Dementieva, who is also a Wimbledon quarterfinalist with a really steady performence this year. She really hopes to do well in this tour and she wins her maiden title in her debut, so she definitely has more experiences than Su-Wei. Also her fighting spirit is also very strong, she downed so many MPs against Palermo champion Betina Jozami in the semis, and finally win it 1-6 7-5 7-5 in nearly three hours of play!! So can she use her experience to beat the unexperienced girl?? Can she grab up her second title?? You will be able to find all the answers if you catch up this glory final in 9:30pm(After Stanford)!! This is probarly the most important thing that Su-Wei and Elena wants to know!! If Su-Wei won the tournament, Su-Wei will be ranked #41, and Elena will be ranked #28!! If Elena won the tournament, Elena will be ranked #27, and Su-Wei will be ranked #43!! But pretty big improvements for both players!! BTW, good luck to you two!! Second title of the season. Davai! I could put Razzano/Dementieva together, They always play together.